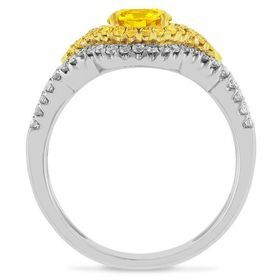 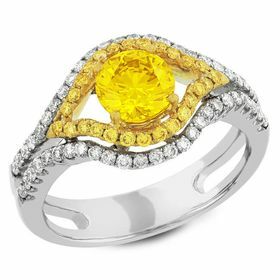 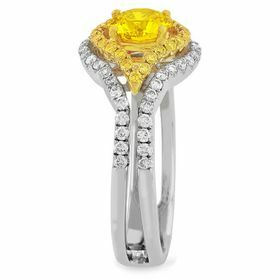 Be Regal in this elegant Fashion Solitaire featuring an 0.83 Ct Vivid Round 80's Cut Yellow Created Diamond Center with Magnificent 14Kt two tone yellow and white gold. 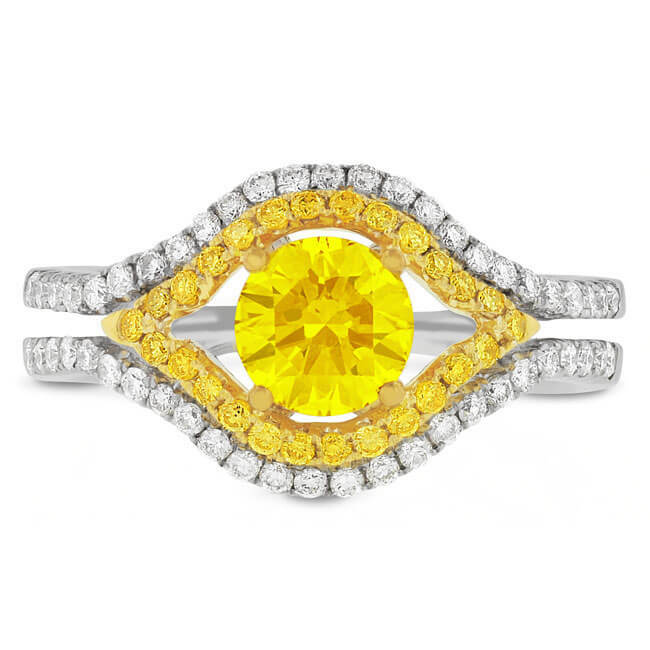 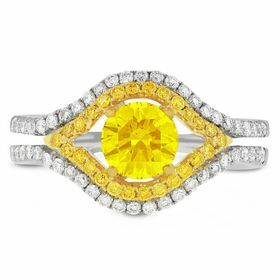 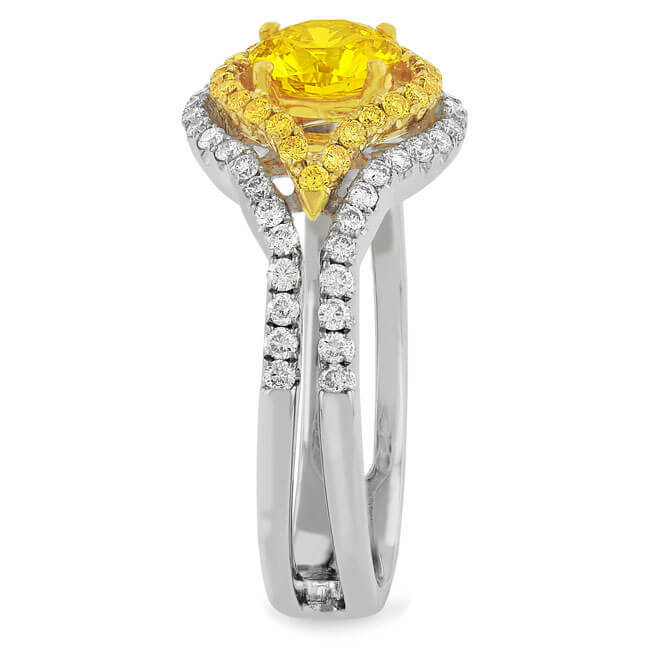 The double Halo Row has fancy vivid yellow and colroless accent diamonds. Each item is accompanied by a grading report and a certificate of Eco-Friendly Origin.